Following a 3-0 hammering at the hands of Barcelona at the Camp Nou, Manchester United boss, Ole Gunnar Solskjaer, has admitted that the Blaugrana were clearly the better side on the night. 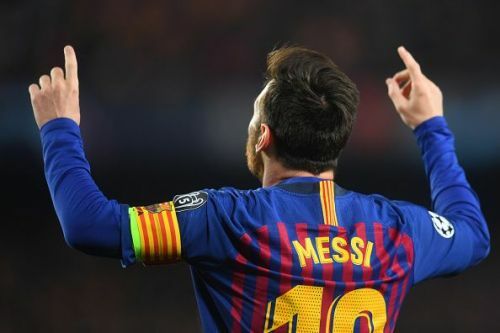 The Norwegian tactician also praised Barcelona skipper, Lionel Messi, backing the Catalans to go all the way and lift the Champions League title. Manchester United travelled to the Camp Nou for the second leg of their UEFA Champions League quarter-final tie with the view of overturning a 1-0 deficit from the first leg. Messi had failed to make an impact in the away leg, but the Argentine scored two early goals in the return leg to hand the hosts a comfortable win. Following Messi's brace in the first half, Philippe Coutinho scored a stunning goal from long-range to hammer the final nail into the coffin of his former rivals. Ernesto Valverde's men progressed to the semi-finals with a comfortable 4-0 win on aggregate. They'll next face either Liverpool or FC Porto in their bid to reach the final. "I have to say Lionel Messi is top quality and he was the difference of course. At 2-0 straight after it was game over. He's different class, he and Cristiano Ronaldo are the best players of the last decade, everyone agrees on that one. Messi showed his quality." "I wouldn't bet against them, even though I don't bet. But for me, they will be favourites to win the whole tournament." Following a comfortable win over the Red Devils, the Blaugrana will host Real Sociedad next in LaLiga. They will then take on the winner of the match between Liverpool and FC Porto in the Champions League semi-finals.